It’s relatively rare to see a female pas de deux in classical dance. In 2015, for her farewell tour, Sylvie Guillem asked Russell Maliphant to create a such a duet as she’d never danced with a female partner, so he created Here & After, which she danced all over the world with La Scala soloist Emanuela Montanari. 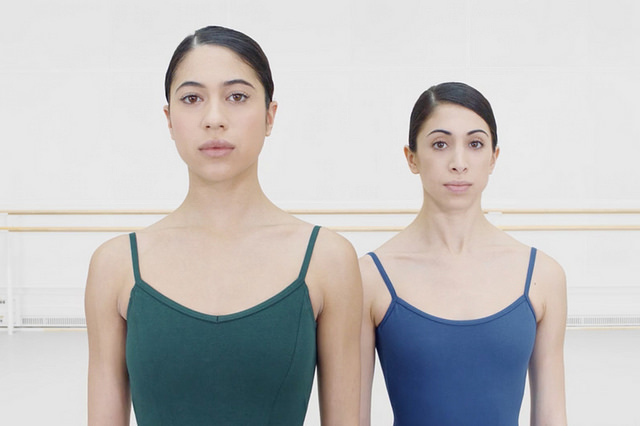 Now, The Royal Ballet’s Principal Character Artist Kristen McNally has created on First Soloist Beatriz Stix-Brunell and Principal Yasmine Naghdi, Duet, in a film created by Andrew Margetson. he said in an interview in 2005 with The Guardian. He has a passion for dance and movement, and Margetson created the film to provide something he had never seen himself: a female duet crafted by a female choreographer. I think a lot of people see ballet as being quite traditional: a male figure, dancing with a female figure. I’m excited to do this pas de deux with another girl because it’s different. Women have a beautiful tenderness about them, but they also have a strength as well. That’s going to be very exciting to play on. The film, with a soundtrack by Scottish composer Lorne Balfe, was shot after two short rehearsals at the Royal Opera House. Yasmine Naghdi will be performing in The Illustrated ‘Farewell’ from 6–17 November. Beatriz Stix-Brunell will be performing in Alice’s Adventures in Wonderland from 27 September–27 October 2017.